Hi, my name is Butterscotch! 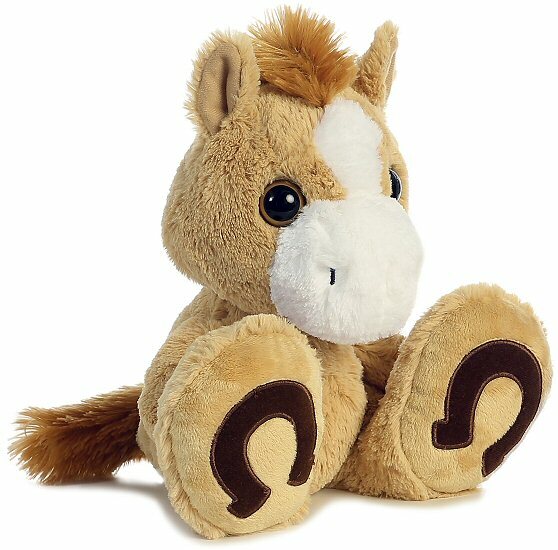 I am a huggable horse stuffed animal from the adorable Taddle Toes collection. My chunky body has soft butterscotch tan fur and I have these amazing oversized brown with brown horseshoes. I also have white accents as well as a fluffy tan mane and flowy tail, just what every happy horse like me needs. My warm golden-brown eyes are sure to convince you that we'll be friends for life as we trot off on all sorts of imaginative adventures together. Trots is a huggable plush horse with a huggable chunky body of soft brown fur and gray horseshoes on fun oversized feet. Pixie is a huggable plush pony with a cuddly chunky body of soft pink fur and gray horseshoes on fun oversized feet. Prancer, this adorable Dreamy Eyes stuffed pony, has soft brown fur, dark brown hooves, fluffy brown mane and tail, and big sleepy brown eyes. 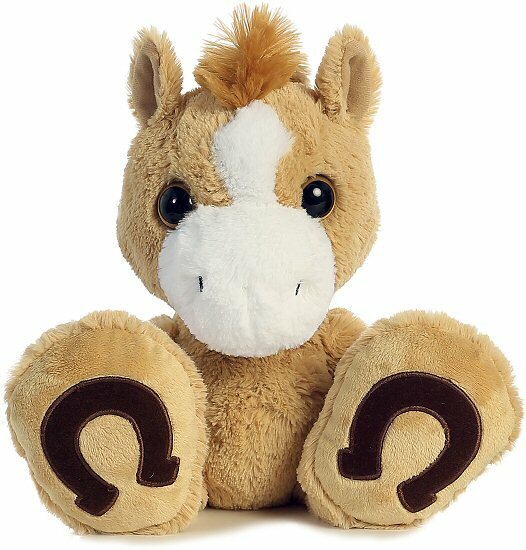 This adorable little horse plush keychain has soft brown fur, white accents, and a fun, loopy mane. Mini Flopsies Paint, this sweet little stuffed paint horse, has soft brown fur with white "paint" splotches, and fluffy brown mane and tail. This adorable little stuffed paint horse has a soft brown and white body, fluffy mane and tail, and loving brown eyes. This Horses & Unicorns Bloco foam building set includes instructions for horses, fillies, and unicorns.